Tap Center to cycle bezel modes, diver or compass. Seconds hand becomes compass hand in compass mode. 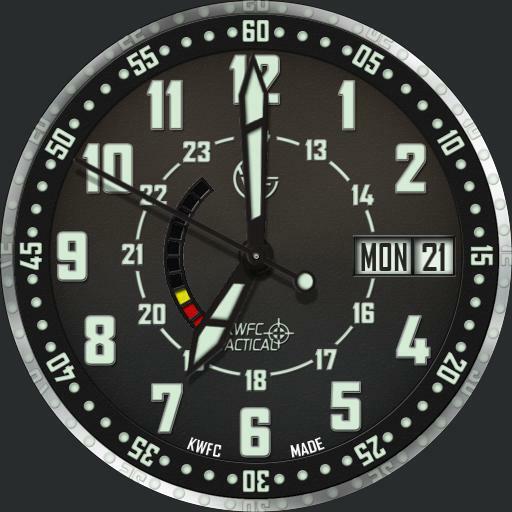 Tap Date area to rotate and reset bezel in diver mode. Tap 6 area to cycle dim lume color, blue or green. Tap 9 area to cycle dim modes, Auto Always, On Normal, Always On, and Off. Default is On Normal. Left display is watch battery level read as 10% increments and final bar will turn off at 5%. Seconds hand lume tip is phone battery level indicator in dim.